For our latest entry in the Reason To Write series, let me introduce Vera Marie Badertscher, a freelance writer who also blogs about travel-related books and movies. 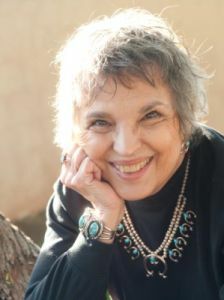 She is also the co-author of Quincy Tahoma: The Life and Legacy of a Navajo Artist, an art biography that will be released in April, 2011. Why do I love Vera’s story so much? It highlights the importance of writing about the things you want to know more about, rather than being limited by what you already know. That may explain why I wound up in a profession that asks questions. I’m curious about just about everything and everyone. Freelance writers have to be curious. It may feel snoopy and prying, but we’re not satisfied until we’ve probed and picked away at the surface of things, and mined the real story lurking underneath. The little secret of our trade? People like to talk about themselves.